You may be less familiar with these names than you are with the names like Rose Wetzel-Sinnett, or Isaiah Vidal. The celeb athletes are getting all the attention, aren’t they? How often does Ryan lift? Does he even lift (, bro)? How much does Cassidy squat? How much time does the Bear spend on that treadmill? Why did Hunter switch to a vegan diet? Should you too? Yet it is these folks who are ultimately responsible for that intoxicating feeling of accomplishment that you feel when you cross the finish line. They are also responsible for the crushing feeling of defeat, when a race course wins, and you pull out of the race. If you have not yet tried a race designed by one (or even better – all) of these evil geniuses, your race bucket list needs amending. But before you dash off to register, here’s an inside scoop on the athletic background, favorite events and spirit animals of the best race directors in the sport. And what to expect from them next. What is your primary athletic background? My parents were missionaries until I was 10, I grew up playing soccer in the streets of Mexico and the countries of Central America. I played through high school as well. In the summers my Dad would take us to work migrant farm jobs, these were extremely intense and tougher than any endurance events I have done. The more you did, the more you got paid. We harvested wild blueberries in Northern Maine where I harvested upwards of 3000 lbs of berries per day for a 2-3 week season. We detasseled seed corn in Iowa where I would walk between 25-45 miles per day, 7 days a week for 3 weeks. I began running ultras about 9 years ago, I have been racing trail and endurance events since then. What is your current position? Title? Event Producer & Race Director. How would you describe your style when it comes to designing a race course? It is not just about making it harder, it is about making it smarter. What race(s) are you most proud of designing? Why? 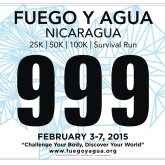 Fuego y Agua Survival Run Hunter Gatherer 2014 – I had a great time designing it – The medal for the race was a copper shield, the racers would hammer a Native American symbol into the shield as they completed challenges along the race. Each symbol was related to the challenge it represented, but all of the symbols tied together to tell the story of the race. It was not just a race, it was a journey with a story. What race(s) are you working on now? What can we look forward to? Survival Run Australia 2015 on October 24th – The Wilderness of Australia takes things to a completely different level, you will have to come and find out. They are good in doses, but there is such a thing as too much of something. Name a book or movie that changed you in some way. I could name a lot of books, and my favorite author is Fyodor Dostoyevsky. However, I started reading very young and two of my favorite books early on were Robinson Crusoe and Swiss Family Robinson. If Josue had a spirit animal, what would it be? “The first thing that comes to mind is a eagle. Ummm, yeah, I’ll stick to that. He sees all, experiences all, and is wiser than his years”. 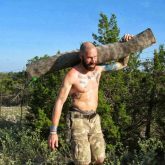 *Read more about Josue Stephens in an interview where he shares the origin of the egg obstacle – why racers have to carry a raw egg throughout the event without destroying it. Swimming, Track & Field- Pole Vaulting (All New Englands), Hurdles, Javelin, and Decathlon, Snowboarding, GS, Boarder Cross, Halfpipe, and Moguls, Skateboarding, Rollerblade Hockey, Two Time Deathrace Finisher, 2011 Trifecta and many OCR events. I wear so many hats! Spartan Race Title Head Course Designer and International Race Director. I approach it as an obstacle racer, not a runner. A big guy like me and a small faster runner should be able to have the same time. That is the end goal and always the motivation. I spend so much time searching for unique areas and hacking with a machete to blaze paths never seen before. It takes so much time and work. What race(s) are you most proud of designing? Killington, Montana, Wintergreen, PA Blue Mountain and Slovakia. New Jersey Beast course was also great – I would have added a couple more obstacles, and then it would have been on my list also, but still mostly happy with it. These races allowed me the most fun and challenge to design and create courses that challenge elites and every other Spartan who attended and rose to the challenge. What race(s) are you working on now? I collaborated on the Hawaii course. Now focusing on Killington, Tahoe and Glen Rose. I would like to get up to Canada in September, and South Africa and Asia this year. Heavy carry’s, long barbwire crawls, water, and I always want to stay off-road (although sometimes, I AM forced to use them). I personally hate burpees, after doing 3,000 for the Winter Death Race, they made me physically ill. As for penalties – I love them, it is the worst punishment, for failing an obstacle and the best motivation to succeed. I will say comic books changed me the most: Marvel X-men and DC Superman. As for movies, I love Gladiator, 300, and Caption America. I will say The Notebook reminds me I have a heart. The eagle – a leader and never bound by boundaries or borders. If Norm had a spirit animal, what would it be? *Read more about Norm Koch and his sadistic ways in this essay. I participated in most sports as a child but I excelled in swimming. I was a long distance swimmer in high school and college. I enjoyed the team sports and I still do, but I really like the concept of individual sports. I always enjoyed pushing myself mentally and physically. Growing up I enjoyed riding my bike and today, at 44 years old, one of my favorite things to do is ride my bike. In college I started competing in the “off season” in long distance triathlons and running events. 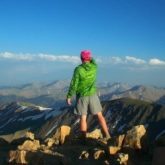 Post-college I did some adventure races, triathlons, ultra marathons, and cycling events. Today I enjoy riding my bike, hiking, swimming, and skiing. I’m a college professor at Castleton University in Vermont. 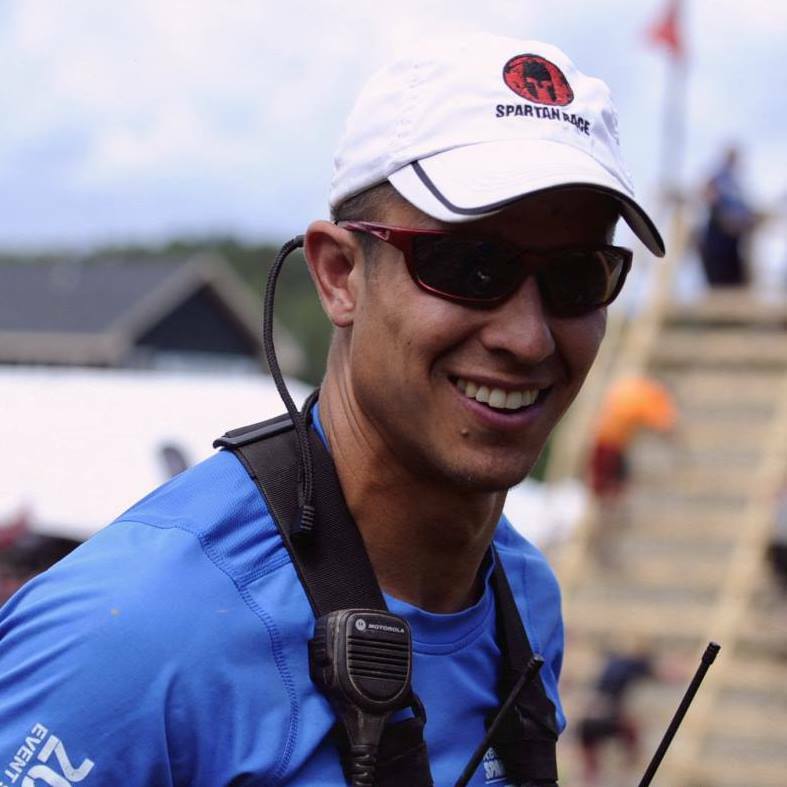 I’m the co-founder of Spartan Race, Peak Races, and my most recent endeavor is The Endurance Society. The Endurance Society is a new company that my partner Jack Cary and I started. I’ve been designing races for 20 years now. This is a tough question because it depends on the discipline involved. I like to challenge athletes and therefore I enjoy creating challenging courses/adventures. I also like for races to be different than other races/events. There are many ways to challenge athletes. Again, a tough question. I think this depends on the discipline The McNaughton Race in Illinois was a special race to me. I designed a course that is still used today. There were many roadblocks when I first came up with the idea of McNaughton. McNaughton is a great little park in Central Illinois with some amazing terrain. My original goal was to create the hardest 50 mile race I could with the terrain available. The race grew each year and I added a 100 mile distance and a 150 mile distance. The race is still going on today. The Skocaj family does a great job with the event and they have a great following. I’m also proud of designing the Death Race which is the precursor for the Spartan Race series. Currently, my partner Jack Cary and I designing unique Endurance Society events. This past year we had an extreme winter trek, a backcountry skiing and snowshoe race, an ultramarathon with various distances, and an adventure race which we kept as secretive as possible. We’re working on some new events for 2016. The Endurance Society is working on a number of events for 2016. We have already opened registration for four of our events. 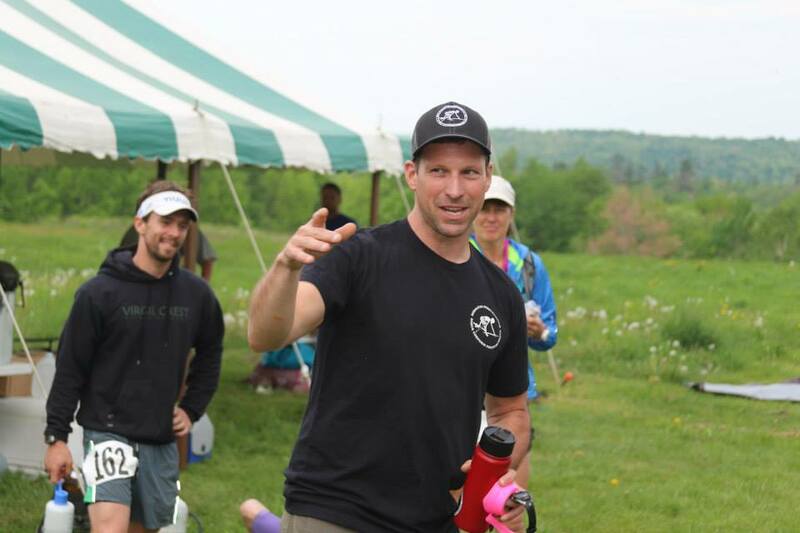 The first event will be a winter trek on the Long Trail in Vermont, followed by a snowshoe and backcountry skiing race, an ultra marathon, and an adventure race. We’re planning on adding a few unique events and courses in the future. We’ve talked about a team adventure race, open water swimming race, and a cycling race. We will be partnering with a number of other race directors and hope to give our audience a chance to challenge themselves. Our mission statement is twofold: To create unique, life changing, and mind blowing experiences for adventure enthusiasts, and to utilize our members for community involvement through volunteerism. I love burpees. I also love ice cream. Book – “You’ll know at the finish line” and “Into Thin Air”. There are a number of books I enjoyed but these two stand out. I like the Wolverine and the Wolf. 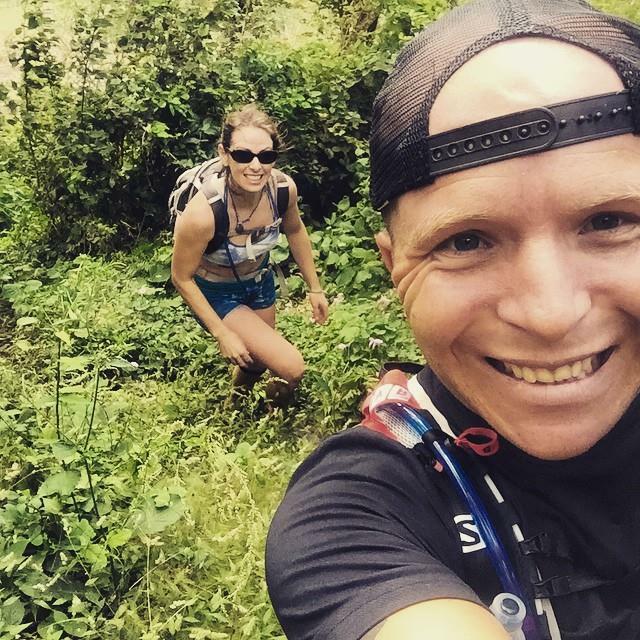 Jordan Peters has possibly participated in every event Andy designed – the Death Race 2012, 2013, 2014 and Team Death Race 2013, as well as Peak Ultra 2013, Peak 50, and Frigus, Infinitus and Extremus events by Endurance Society. 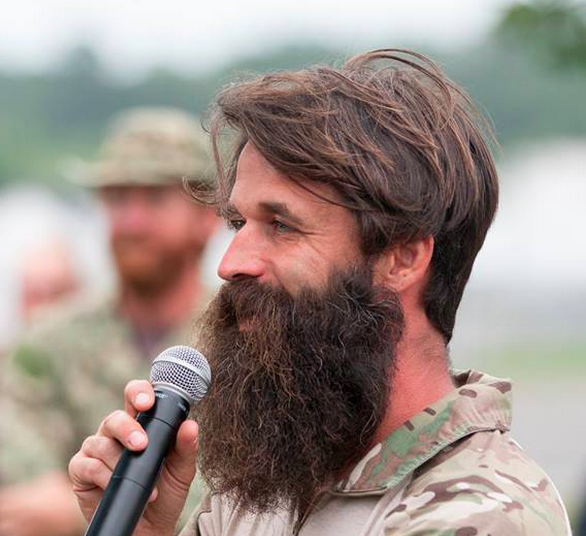 “I first met Andy at Death Race camp in January of 2012 and we’ve been friends since. We train 2-3 times a week together now. In my opinion what separates Andy from a lot of race directors is his infectious passion for what he does. He doesn’t do it for the money, but he loves watching people test their limits. His experience and love for endurance sports and directing races really shows in everything he does. I’ve never been to one of his events and not seen people changed for the better after being shown what they are capable of”. If Andy had a spirit animal, what would it be? “What else? A goldfish. Dude can’t stay focused on any one thing for more than a few moments”. As a youth I played baseball, football, tennis, ran track and cross country but my forte was always wrestling. I wrestled from the early 80s until 2005 when I won the AAU Grand National Greco Roman Championship. I have also coached baseball and took a team to the Dixie Youth World Series in Florida three years ago as well as coaching wrestling. Currently I design and direct races for BattleFrog. My title is Race Director, yet I tend to wear many hats depending on the need and what is best for our sport. Designing a course is an art. Whenever you go to a new place you want to see EVERYTHING they have to offer. Find all the natural anomalies and the beauty in the location and find a way to tie them all together. Then you add the obstacles and find locations that is both exciting for the runner, uncomplicated for the build and pleasurable for the spectator to cheer on the runners. I also have to verify all is in accordance with local and state regulations and within permit guidelines. I guess that makes race design style an art similar to a painter. One can be assured that no matter what the venue, the racers will have the best possible course available. My favorite terrain has been Houston, South Carolina and Pittsburgh thus far. Pittsburgh has special meaning because it was the first one I worked on as a consultant and that led to my job full time with BattleFrog. Currently I am working on Pittsburgh 8/8 and Chicago for September. Those look to be ridiculous amounts of fun. I am looking forward to every race that I get to see the smiles on the racers and kids faces that result from hard work. You do not want to miss our championship. It will be phenomenal and you will want to keep an eye out for our epic 2016 schedule. Given my background in wrestling and the military I have been doing 8 and 10 count body builders since well before my teenage years. Even my wrestling teams I coached would crank out 500 without blinking an eye. To me a burpee is a cheapened version that has a unique name for marketing in this CrossFit culture and is a bit gimmicky for OCRs. We called them Jayvohs here for the six year olds beginning to wrestle and work their way up to the body builders. I read a ton, I mean a lot…. 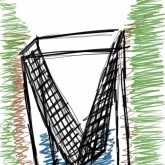 and many books have their own little niche but I have always been a visual person. The movie Memphis Belle and the two mini series Band of Brothers and The Pacific really stand out. They epitomize what true struggles and grit entail. You bleed, sweat and cry in hardship with brothers who become family. There is not a place in the US I cannot call one of my Shipmates and they would drop everything to help me out and I would take a bullet for each and every one of them. The love and character in the movies/shows that I mentioned help emulate a small part of that brotherhood. I believe I am year of the tiger, so let’s go with that one. 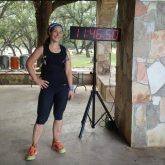 Amie Live Wire Booth is an accomplished obstacle racer and a Spartan Death Race winner, who has a number of BattleFrog events under her belt, including the infamous Houston venue. “That course is still the hardest I have done, and the same would be said by other elite athletes. As an endurance athlete this one humbled me, and was expertly designed to exhaust us. I chose to run BFX both days in a row. I can honestly say it was the hardest I have fought to win yet, and still stand in disbelief that I did it both days. That course is legendary. It is the only course that had seasoned endurance athletes scrambling for 3-5 laps, where other courses have seen 6-8”, Amie says. If Chris had a spirit animal, what would it be? I played “traditional” sports growing up and through college (soccer, rugby, skiing and pretty much anything that kept me moving). I continued playing men’s rugby after college until I blew out my knee. I started competing in endurance races and got hooked on adventure racing (think 12hrs to 6 days of navigating with a team to various checkpoints either via foot, bike, or in a boat). 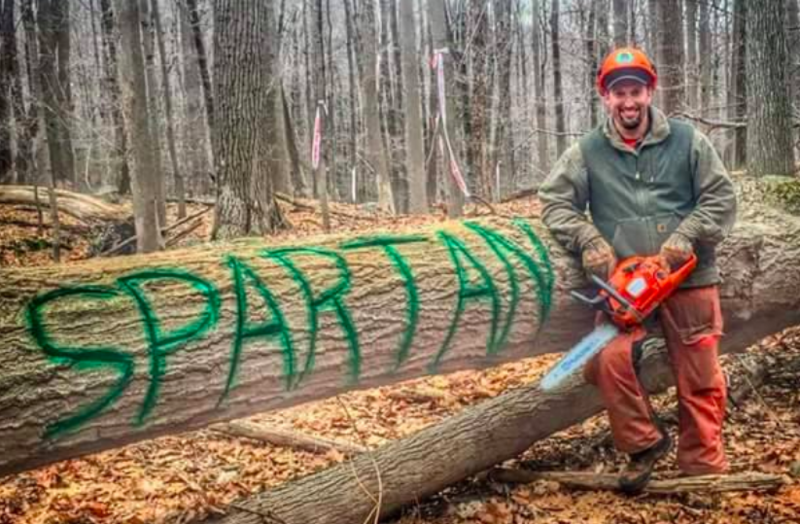 VP of Production at Spartan Race. I support an amazing team that are responsible for everything involved with the actual planning and execution of an event. Like most designers I think about it from 2 perspectives: (1) From a production perspective I think about medical access, environmental impact, venue restrictions, logistics (how we can get materials and supplies to the venue), filming requirements, spectator viewing, and sponsor requirements, (2) from a racer perspective I consider the type of terrain, “rhythm” of the running, obstacle sequence and spacing, elevation change, and the impact of water features. I believe in challenging racers by leveraging the terrain, being very thoughtful about obstacle placement and sequence, and by throwing in some surprises. The first Killington Beast in 2011. It really showed what a Spartan was capable of and that our customers wanted a hard product offering. At that time, that race changed the industry (of course, I’m a bit biased) and it was our first 12+ mile course. Spartan is fortunate enough now where we have an awesome team made up of various departments working on all of our course designs. It’s had a really postive impact on our product by (1) being able to listen to the customer and quickly adjusting the product as needed and (2) being able to leverage the brain power of multiple people to maximize each design. We started this new approach in January this year and it’s been a great shift from having “one” person be 100% responsible for the design. Our post-event surveys are scoring higher than ever. We still have our resident experts for a specific venue so we promise we won’t lose the personal touch on the designs but every course this year was designed by multiple people. To try to answer your question, I’ll be the race director for the World Championship in Tahoe. What is there to hate? My 24 month old does them with me. “Fearless: The Adam Brown Story”. Makes you appreciate the sacrifice of our service men/women and their families and what the human body and mind are capable of. Tear jerker and mind blowing at the same time. Optimus prime (autobot). Technically, he is not a human, but he’s loyal, powerful and steadfast. He is also a leader and a warrior who hustles, and overcomes adversity (dodging death multiple times). “Michael has an uncanny ability to use the terrain in an interesting and challenging way. Through his years of experience as an adventure racer, he gained a keen sense of how to look at terrain and imagine a race course on it. Some of the most memorable courses include parts of the mountain he found while hiking around”. If Michael had a spirit animal, what would it be? YOUR TURN: Do you have a favorite race director I did not mention? I’d love to hear more. *NOTE: While the titles of “race director” and “course designer” refer to two different sets of responsibilities, both are often energized by the same individual, except when it comes to bigger event series. For the purposes of this article, I used the two interchangeably.